Approximately 45 million Americans suffer from headaches each year. That calculates out to about one in every six people. Migraine headache. Tension headache. Cluster headache. Sinus headache. Hormonal headache. The list goes on and on. There are over 150 types of headaches out there and each have their own set of signs and symptoms and ways to treat. Some headaches respond well to chiropractic care because the source of the pain is due to a neck disorder or muscle tension. The headaches that respond to chiropractic care are referred to as cervicogenic headaches. These headaches are unusual because the source of the pain truly isn’t in the head. A cervicogenic headache is actually referred pain, or pain that is perceived as occurring in one part of the body, but originates somewhere else in the body. Cervicogenic headaches are perceived in the head, but originate in the neck. The source of the pain is commonly due to subluxations, joints that have become stuck or immobile, in the neck accompanied by tight, tender, spastic muscles. In May of 2011, an overweight, 65 year old, female realtor, presented with neck pain for about the last 6 months that was progressively getting worse. She was now experiencing headaches for the last couple months. She described the neck pain as tight, dull pain that was sore and causing her to have decreased range of motion and difficulty while driving. She had the pain every day and it was worse by the evening. The headaches were located in her occiput, base of the skull, and rated a 4 out of 10 on the pain scale, where 10 was excruciating pain and 0 was no pain at all. She also described a needle like sensation in both of her arms over her shoulders and tricep muscle area. The overall health of the patient was mediocre as she was constantly battling pneumonia and other respiratory issues since 2000. She experienced periodic flare ups of her low back and noted she also had arthritis. She was in a severe car accident when she was 18 years old. Her family history was also quite extensive with heart attacks, strokes, diabetes and cancer plaguing her parents and siblings. The patient’s range of motion in her neck were decreased in all directions, especially right lateral flexion. When performing a number of orthopedic and neurological tests, one test, maximum cervical compression, created pain on the left. Upon palpation, it was noted that the muscles on the left side of her neck were in spasm as well as at the base of her skull. Subulxations, or misalignments of the spine, were located throughout the cervical and thoracic spine. The patient’s examination clearly showed that multiple subluxations of the neck and spastic muscles were contributing to her headaches, neck pain and “needle-like” nerve pain. The patient decided to begin care right away. Her treatment plan consisted of Chiropractic adjustments, electrical muscle stimulation, and soft tissue therapy. The ergonomics of her desk set up and sleeping position were analyzed and adjusted. The patient was only able to get adjusted once a week for 4 weeks, before she disappeared and was unable to contact. On her second visit she noted that she had better range of motion and no headaches for two days and the itchy, needle-like sensation in her arms was completely gone. By her third visit the nerve pain in her arms had returned more intensely, but her neck and headaches were not a problem. On her fourth visit she was feeling much better, no headaches, no nerve pain in her arms, and only mild stiffness in her neck. An Activator Adjusting Instrument, or spring loaded instrument, was used to deliver the Chiropractic adjustment. This devise is very specific and gentle, which is especially effective on a patient who is experiencing intense, acute pain and can not easily be moved around. After every adjustment, it would be followed by pressure point therapy of the upper back, shoulders and neck to release the tension of the muscles and decrease spasms, and electrical muscle stimulation to also decrease muscles spasm, as well as increase circulation and pump out swelling and inflammation to promote healing. The patient later returned in December of 2011, after successfully battling lymphoma the last six months. All of her initial neck and headache symptoms had returned. From here, she began receiving chiropractic treatments once a month. 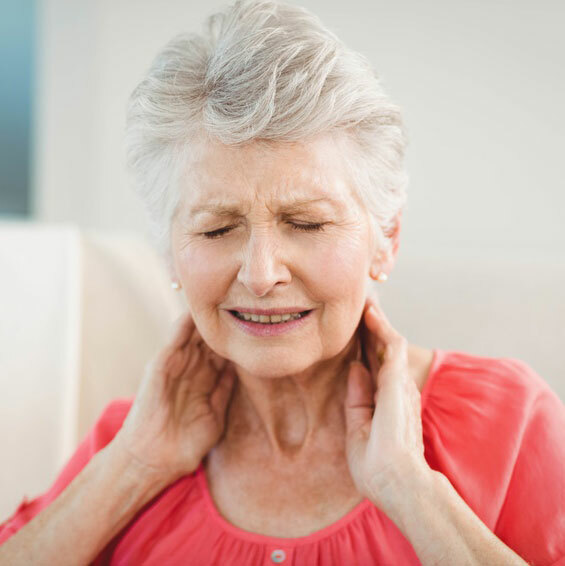 While this was not enough care to eliminate her constant pain, tension and headaches completely, she would feel relief for several weeks, and then the tension would slowly creep back in. The patient was urged to receive several more treatments close together with the goal of retraining her body to the proper alignment. This would help her to maintain a more balanced, aligned body and in turn her symptoms of pain, headaches, and needle-like sensation would not return as quickly. She chose to continue with her once a month, maintenance adjustments, as she saw the improvement was significant enough for her and the minimal discomfort that did return every month was manageable. In conclusion, Chiropractic, and specifically the Activator Adjusting Instrument, is an effective method to treat neck pain, cervicogenic headaches, nerve pain, and remove the problem to restore proper function.